Mrs. Stanford's First Linky: Good Reads! I've been looking on other blogs and talking about books that I need to read this summer and I'd like to know what you suggest! As for my favorites: I currently own, have read, and will probably read again! Yes, yes, I know it's summer and everyone wants to relax and maybe not think of school for a few days at least, but I recommend all four! Whether you are a new, seasoned, or retired, they will have you laughing and having many "ah-ha" moments. 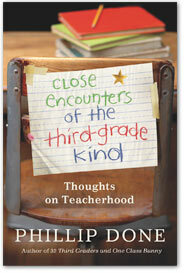 Phillip Done shares his hilarious true life stories from inside his classroom. Both of his books are easy reading and made me think, "Oh my word I do that too!" Darn . . . I just posted. I will be linkin' up tomorrow for SURE! Awwww thanks!!! I'll have to stop by and check it out!! 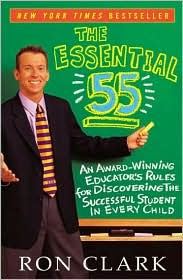 Love Ron Clark and sure will link up. Thanks for the invite! I have read Ron Clark's book... loved it, but I needed a nap! He's my hero ;) thanks for joining! Thanks for linking up! He is awesome isn't he? He is... but where does his endless energy come from? Pretty amazing! Looks like you have some great suggestions---will have to check out some of these books. Just linked up! Thanks for the great idea!!! 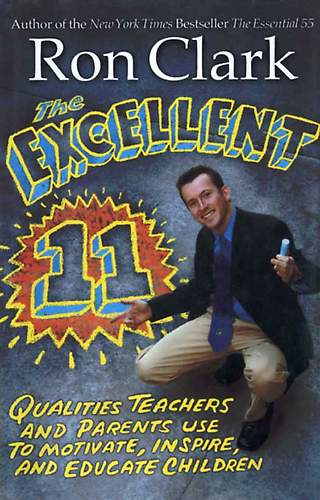 I love Ron Clark. I saw him speak once. He was great. Hey! Thanks for asking me to join your linky party! I would love to, but I am new to the bloggie world.. How do I partiticpate in the linky party? It's very easy! Just take the HTML code from under my linky picture. Post that into a new post (under HTML tab) and start your link up post. When you're done copy that direct posts web address into the linky tab above. It'll let you choose your picture and name for everyone to see. If you have any questions feel free to email me! I'm so jealous!! Thanks for linking up ;) I loved your post by the way!! I just linked up with you for my first linky! Thanks for the great book ideas! Hehe thanks! I always take the hard route!! Hi Jessica! I just linked up! Thanks for hosting such a fun linky party! I love your blog and just became a follower! What a great idea for a linky party. I already have blog posts written for the next several days. But, I'll try to come back and link up. I love your theme!!!!! Thanks for linking up and becoming a follower. I'm so excited to find such nice bloggy friends! Great idea! As a teacher I find none of my non-teacher friends ever want to read the same books as me and get bored hearing me talk about them. Thanks for joining!! I hope you're enjoying yourself and making new friends!! I finally got around to linking up! I love finding out what everyone else is reading! Here's to a wonderful summer! Oh boy! I love linky parties. I'll join up tomorrow with my book list for the summer. So many great reading ideas! Looks like I've got a lot of good reads ahead of me this summer. Thank you so much for stopping by my blog and for all of your encouraging comments. They always make my day! I plan to read the sequel to the Discovery of Witches this summer along with the Daily 5 book and Daily 5 Cafe book. If you have a minute come on over. I needed a post like this! I can't wait to spend some leisurely time reading this summer! Excellent first linky party. I added many books to my list. I am also late to the party, but I just linked up too! Thanks for throwing a great party! Thanks for the linky party! I just added my link. Love thsi! I updated a post I wrote regarding what I wanted tor read this summer. Awesome!! Thanks so much!